The government’s personal injury reforms will boost insurers’ profits by up to £700m a year, an economics consultancy has predicted ahead of today’s second reading of the Prisons and Courts Bill. Capital Economics (CE) also said there were reasons other than fraud which led to rising insurance premiums, and that the argument motor accident rates have fallen while claims have risen may be misleading. The report was commissioned by Access to Justice, but CE made clear that its work was independent. It also came as the justice select committee announced an inquiry into the reforms. “The reality is that the proposed reforms would deliver a material boost to insurers’ profits,” CE said, describing as “implausibly high” the Ministry of Justice’s (MoJ) projection that insurers would pass on 85% of the £1.3bn savings generated as lower premiums for motorists. Even then the MoJ has admitted that this delivered an extra £200m to insurers, but CE said that on “more realistic pass-through rate assumptions, insurers’ profits will increase by between £400m and £670m”, plus another £66m it estimated insurers would save through reduced staffing. A high pass-through rate required a highly competitive market, and CE said insurance was not as competitive on price as the government assumed. 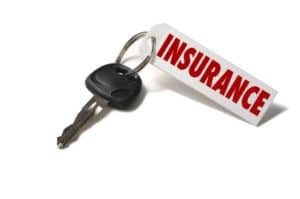 It said the large number of brands in the market masked the fact that there were fewer actual underwriters, while nearly a quarter of policyholders let their motor insurance policies automatically renew. Further, evidence from other industries “suggests that firms do not respond to cost decreases in the same way that they do to cost increases. It is more likely that a firm will increases prices than decrease them. A greater driver of premiums was interest rates, CE said. Prior to the financial crisis, insurers were able to make a profit at lower premium levels because of the investment returns on the reserves they put aside to cover future claims. The fall in interest rates since then meant insurers were forced to raise premiums to maintain profitability. By contrast, there was “little evidence” to suggest that PI claims are responsible for the recent substantial increases in premiums. “The insurance industry’s own estimates indicate that, after accounting for inflation, the total amount they paid out on what they describe as ‘whiplash’ or soft-tissue injury claims declined by 17% between 2007 and 2016. CE questioned the role of fraud too – Association of British Insurers’ (ABI) figures last year said 99% of motor insurance claims were paid out, while there are hardly any successful prosecutions for fraud each year, while CE put down in part to claimant law firms’ filtering processes. The researchers described the ABI’s definition of fraud to be a broad one that went “well beyond any legal basis – and, arguably, any common-sense meaning”. One of the behaviours listed that suggested suspected fraud was that the claimant accepted a substantially reduced settlement offer – which showed “that rather than pursue them to the courts, insurers are willing to pay out claimants they suspect of being fraudulent”, CE noted. The report said that while the number of traffic accidents recorded by police fell 32% between 2003 and 2014, the number of police traffic officers declined 37% over the same period – NHS data, meanwhile, showed little sign that the number of hospitalisations after road accidents have fallen. The number of claims has risen, however, due to the Access to Justice Act 1999 and greater consumer awareness, CE found. Rob Cummings, head of motor and liability at the ABI, told industry publication Insurance Post: “Conspiracy theorists Access to Justice are now suggesting, in the face of overwhelming independent evidence, that instead of getting safer our roads have got more dangerous. Access to Justice has pointed out in response that much of the data used by CE came from the ABI itself. It is not a question of increasing Insurers’ underwriting profits – which depend on too many variables to be accurately predicted and are at best elusive – but of stemming the colossal growth in unproven and unprovable, not to say suspicious, Whiplash claims which has caused premiums to be forced up unnecessarily. The change is aimed at addressing that unfairnedd imposed on honest policyholders. Any “profits” to Insurers will in any case be offset by the reduction in the discount rate, which will result in larger settlements of serious claims, many of them already incurred on policies rated and thus premiums paid, before the change became known. By the way, if Insurers never made profits, they would go out of business. The profitability of Insurers is a prerequisite for the Claimant pi sector to have confidence their clients’ bona fide claims will be paid. That all this is well known, makes the frankly ignorant comment published online all the more surprising.